Clipper Card Reader Tagged the Wrong Time? Have you gotten a ticket because the Clipper card reader tagged the wrong time? One of our readers said this happened to him, and he wasn’t able to fight the fine. Read Sean R.’s account. A few weeks ago my wife and a friend of ours boarded Muni at about 5:45 p.m. in the Inner Sunset. When they got off at Civic Center a little after 6 p.m., they were stopped by fare inspectors who scanned their Clipper cards. It was then that they were told the system registered them having boarded at 4 p.m., and that they’d be issued a ticket for riding with an expired fare. Their well-documented petition was denied, and to even fight it they have to pay the $103 fine. If this has happened to you, were you able to petition the ticket? Let us know what happened. I’m happy to report that while they’re not yet in the clear, I reached out to our supervisor (Olague) and Ed Reiskin (SFMTA director). I didn’t hear from Olague, but thanks to Reiskin an investigator called us and is trying to sort out what happened. How did you get in touch with Ed Reskin? Maybe he can help me, I got a questionable citation on one of the buses they had out on Sunday for the centennial after being told that the other bus and the boat streetcar were free for the day. Did they also tag in at 4pm? I always wondered what happens if you use clipper on your return trip while you are still on a transfer, but that transfer expires while you are on the train. 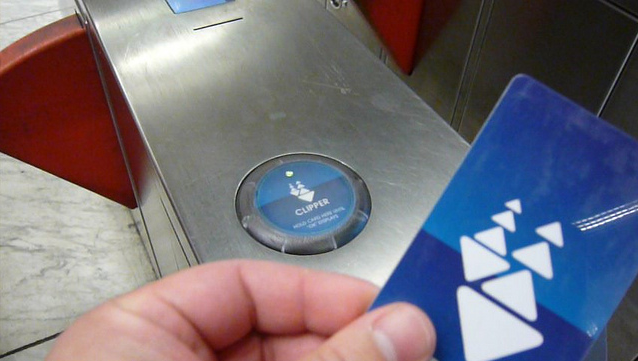 With a paper transfer, you can toss it and pay for a new one, but as far as i know, there’s no way for a clipper card to pay again if you’re on a valid transfer. No, they were working beforehand. One of them had caught a bus in the morning, but that transfer had elapsed well before. The errant time stamps cost me about $20 a year. There have been times where I took a bus from 9th and Lincoln to Fourth St only to be charged again when I transferred buses only to have the same thing happened to me again on the return trip 9 hours later. When I went to look at the use log, some of those time stamps were way off, like 3 or 10 days. I’ve never been fined for it, but using my Clipper always makes me nervous because of that.